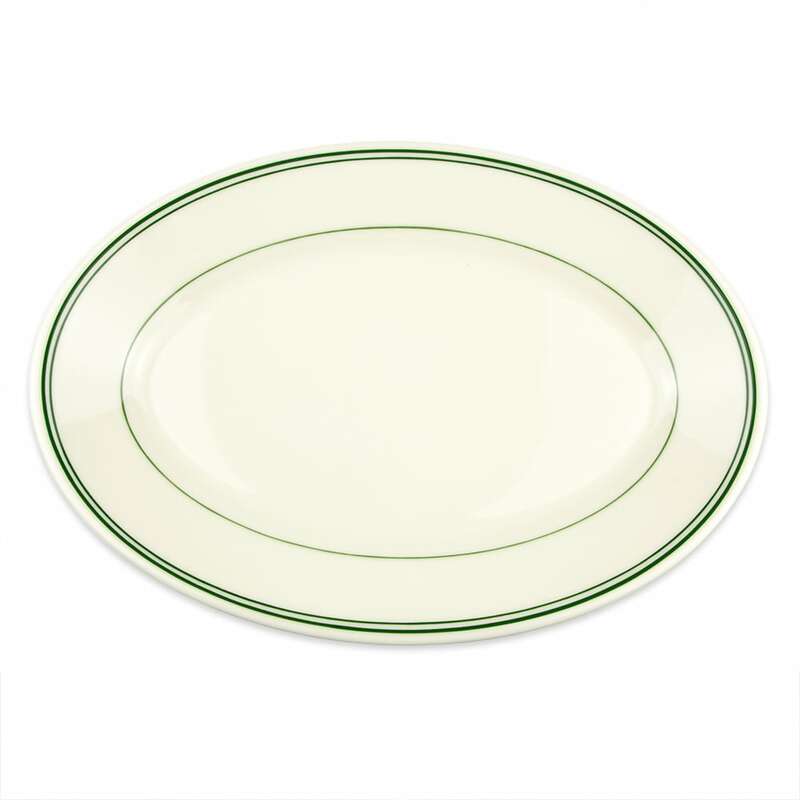 The Homer 1571 oval platter has a vintage feel with the ivory color and green stripes around the edges of the dish. Its oval shape creates a diner feel that is perfect for holding larger meals, especially since it has a diameter of 133⁄8 inches. The rolled edges help reduce chipping, while the china construction is durable and resists scratching. 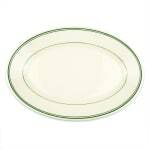 The Homer 1571 oval platter is made in the U.S.